Individuals, families and carers impacted by dementia are being urged to turn to Dementia Australia to access support that can empower them to live well. 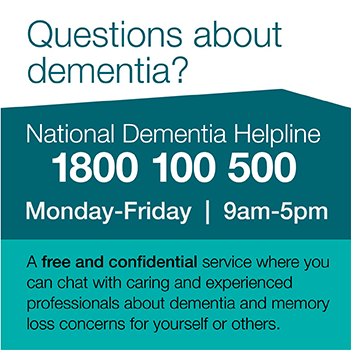 There are more than 425,000 people currently living with dementia in Australia, the figures show, with an estimated 250 people developing dementia each day. Dementia Australia CEO Maree McCabe said while there is no cure for dementia, which is the second leading cause of death of Australians and the leading cause of death among Australian women, the right support, information and help can make a life-changing difference to people living with the condition. “There is a perception in the community that nothing can be done following a diagnosis of dementia,” Ms McCabe said. “However, with an estimated 425,000 Australians living with dementia this year alone, which is expected to soar to an estimated 536,000 people by 2025 and more than 1.1 million people by 2056, it is vital people understand the right support can make the world of difference to people impacted by dementia. “These figures are cause for concern and we do know we need to make sure we continue to invest in more research to find ways to better treat the condition, or find a cure. But in the meantime, we must also make sure the huge number of Australians impacted by dementia are accessing good quality, appropriate support and services. “Appropriate support and services can help people cope with the uncertainty and changes that come with dementia. 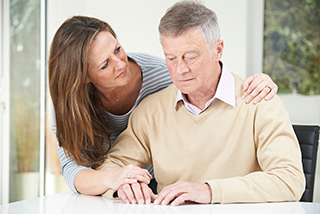 One significant issue Dementia Australia staff often hear following a diagnosis of dementia is how isolating it can be, which can be devastating and debilitating. Marina Germolus’ son started noticing changes with her memory in 2012 and she was diagnosed with dementia in 2016. Ms Germolus said reaching out to Dementia Australia for support services has been crucial in enabling her to deal well with her diagnosis and get on with her life, including, importantly, the ability to remain socially active. “The staff have really understood my needs and what will work for me,” she said. Isabelle Burke was 20 when her mother was diagnosed with younger onset dementia, at the age of 54. “Being so young when mum was diagnosed, I really knew very little about dementia and the impact it was going to have on our lives,” Ms Burke said. “Through Dementia Australia we have been able to find out what information we needed at every step along the way, which has just made such a difference. Ms McCabe said support services at the early stage following a diagnosis are essential. “They enable people to better understand the condition, which helps prepare for the changes that will inevitably come. They can also help people re-engage with life,” Ms McCabe said. “Having a trusted, independent source of information people can turn to means that no matter what the stage of the diagnosis we can assist.